Cookies, campfires and bracelets are all part of the journey, but changing the world? That's the real destination! One adventure at a time, Girl Scouts learn, grow and do amazing things. Unleash your inner leader. Introduce girls to awesome new experiences that change their perspectives and broaden their worlds. Be a mentor, a guiding star, a friend. Show them all that they're capable of, and unleash your inner leader in the process. 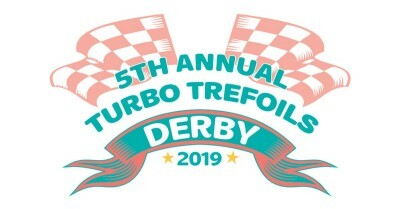 GET READY FOR THE TURBO TREFOILS DERBY THIS MAY! This is your chance to design your own trefoil derby car with your troop, friends, or family, then race your car against other Girl Scouts in your age group! 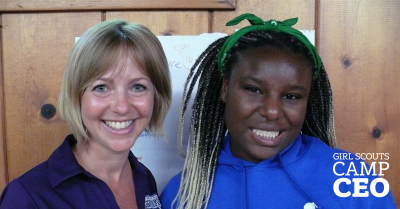 OLDER GIRLS, SIGN UP FOR CAMP CEO 2019! For girls entering grades 8–12 in fall 2019. At Camp CEO, you'll build the skills necessary to fuel your inner CEO, all while enjoying the great outdoors! ENTER OUR PATCH DESIGN CONTEST! Are you a Girl Scout with a creative touch? 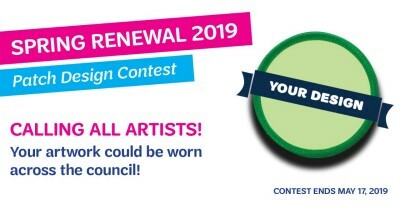 Share your flare for color and design by submitting artwork that could end up on patches worn all over the council! Are you looking for a summer job that will leave you with a sense of empowerment, a positive outlook on life, and skills that will benefit you for years to come? Apply for a summer camp job at GCNWI! Surveys are open! At Girl Scouts, we care about your opinions and experience, and we need your help to understand what’s working, and what’s not. Earn the Girl Scouts' Highest Awards! Bronze. Silver. Gold. These represent the highest honors a Girl Scout can earn. All three awards give you the chance to do big things while working on an issue that’s captured your interest in a big way. Do you know a girl who is ready to be a part of this prestigious group of young women who are changing the world? Watch this video of National Gold Award Girl Scouts who are addressing society’s grand challenges and working for a better tomorrow by driving meaningful change today! Read more on our blog!